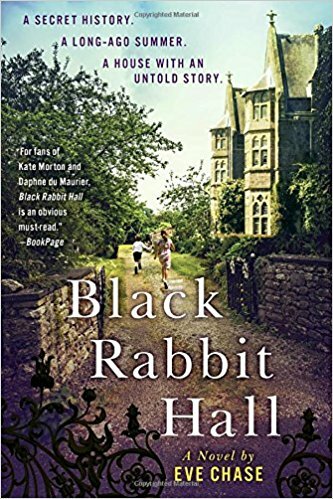 Black Rabbit Hall by Eve Chase. A woman named Lorna finds the home and wants to be married in it. She doesn't know why she is so drawn to this particular place that was so far out of the way. After spending some time in the home with the owner, Mrs Alton, she becomes fearful of the hidden secrets, but winds up staying and discovering why she is so drawn to this mansion. The best of the last few books I've read recently. In post-Arthurian Britain, the wars that once raged between the Saxons and the Britons have finally ceased. Axl and Beatrice, an elderly British couple, set off to visit their son, whom they haven’t seen in years. And, because a strange mist has caused mass amnesia throughout the land, they can scarcely remember anything about him. As they are joined on their journey by a Saxon warrior, his orphan charge, and an illustrious knight, Axl and Beatrice slowly begin to remember the dark and troubled past they all share. 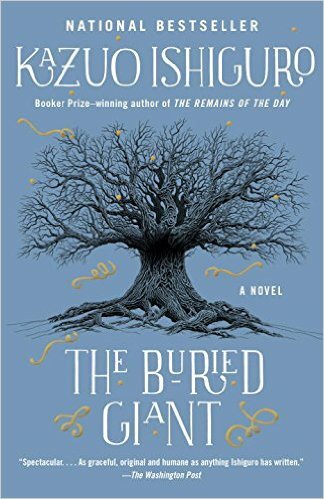 By turns savage, suspenseful, and intensely moving, The Buried Giant is a luminous meditation on the act of forgetting and the power of memory, an extraordinary tale of love, vengeance, and war. Strangely enough, I really had no idea what this book was actually about when I found it in a box of books for .50. For me, it was hard to believe that this is the same author who wrote Remains of the Day (movie by the same name). Familiar names are drawn into this "story telling" book, such as Merlin and Arthur. I found the book to be quit different in the writing I am used to. But it did intrigue me enough to keep reading until the end. I think that because I have been reading mysteries and murders and such that this was so far out in left base that I was lost part of the time. lol. It was an ok book. Not really my type of writing, but yet interesting enough to let me read it all. I am sure others would enjoy it more. 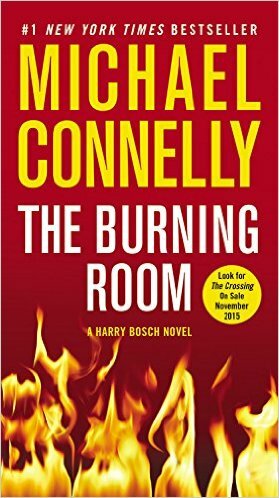 The Burning Room by Michael Connelly. This is the second book I've read by Michael Connelly. It was a good read. Strangely, though it was something missing. I'm not sure what. Maybe more closeness to the main character of Bosch. It was a cold case reopened and how they solved the case. I like watching cold cases being solved on tv and I generally expect "more" in a book. More detail. More character building. I liked the first book I read, the Black Box, but all I can say on this one is: It's ok. Not a bad read. But could have been better. Lately I just can't seem to find the books I enjoy so much. Books like, Diane Setterfield's, The Thirteenth Tale, or books by Michael Cox (The Meaning of Night & The Glass of Time), or the Alex Grecian books, The Scotland Yard Murder Squad, The Devil's Workshop/ The Black Country/The Yard/ The Harvest Man . Also Dan Simmons, Drood!.. My reading has gone down to a crawl because I don't seem to be able to find books like these !! Sigh.. ah well... who knows? Maybe the next book eh? 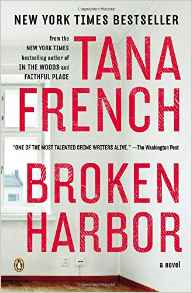 The Broken Harbor by Tana French. Amazon Best Books of the Month, July 2012: In Tana French’s fourth novel, detective Mick "Scorcher" Kennedy and his partner are sent to the abandoned, half-constructed housing development Broken Harbor to investigate the brutal murder of the Spain family. What Scorcher thinks is an open and shut case is quickly complicated when Jenny Spain is found barely alive, and the family’s circumstances are brought to light: hidden baby monitors, a strained mortgage brought on by the housing crisis, and the increasingly erratic signs of a family in crisis. French fans will appreciate this new look at Scorcher, who was a minor character in Faithful Place; he shines as the successful but jaded detective with a troubled past. French delivers a layered psychological thriller and satisfying ‘who dunnit,’ masterfully spinning a plot packed with tension and a haunting mood that rivals the best of the gothic writers. This is book 4 I've read of Tana French's. It's also my least favorite. But... having said that the past month my head has not been with reading very much. I was sick for a time then in pain for a time and stressing about things.. so this was a slow, slow read for me. Also noted though is that I did not set it aside and stop reading it, so that says something too. The detective Scorcher did not grab me as a interesting character, like most of her leads. The mystery of the killings was good though. I don't have a lot to say to encourage or discourage you to reading this book... I will more than likely try her next books when it comes out, as I have enjoyed her other books.